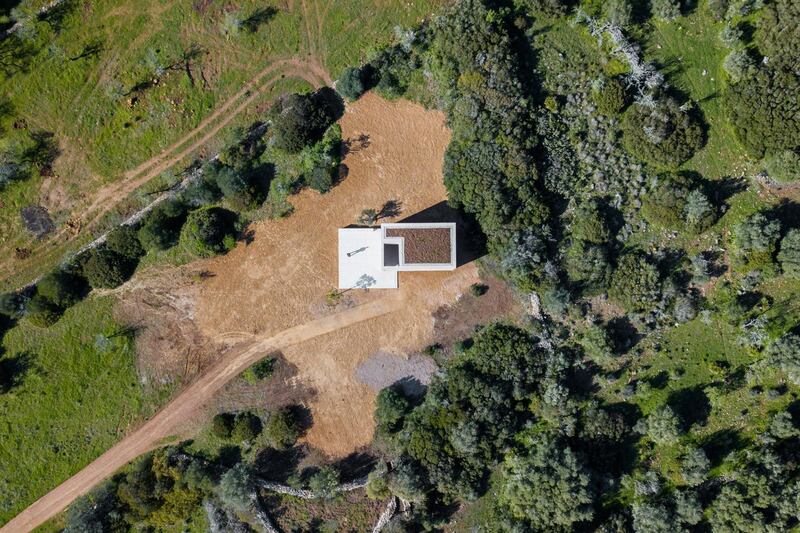 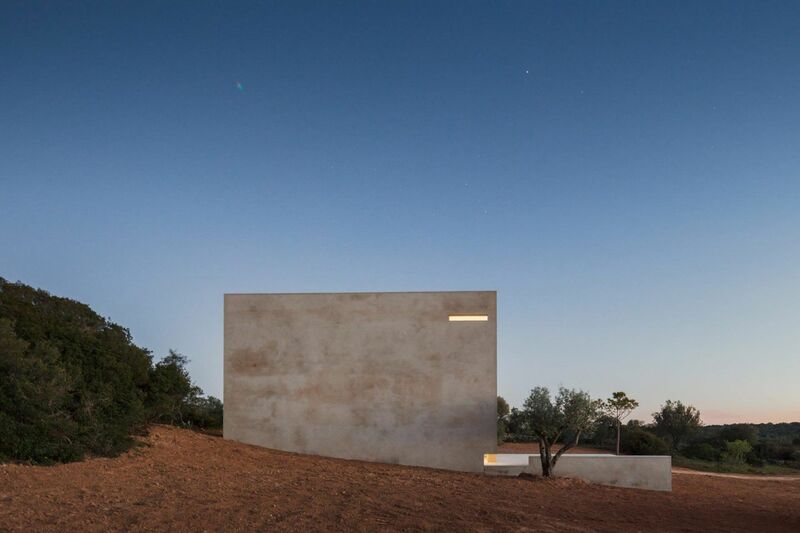 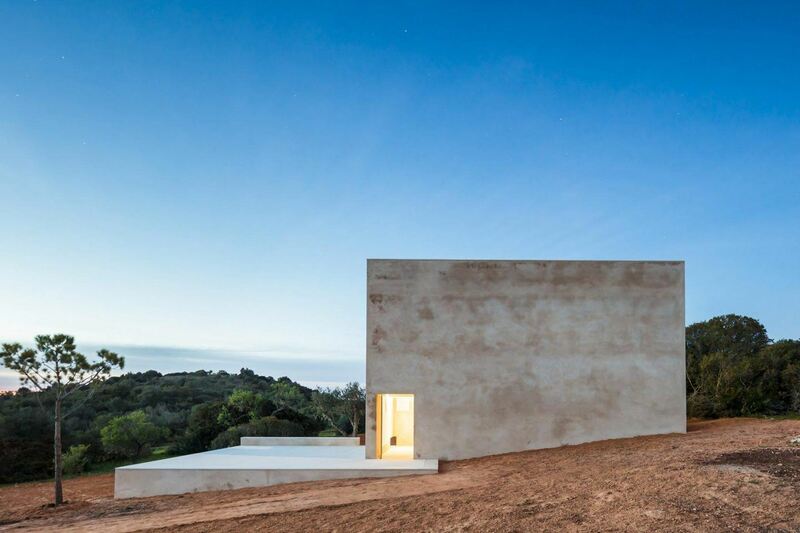 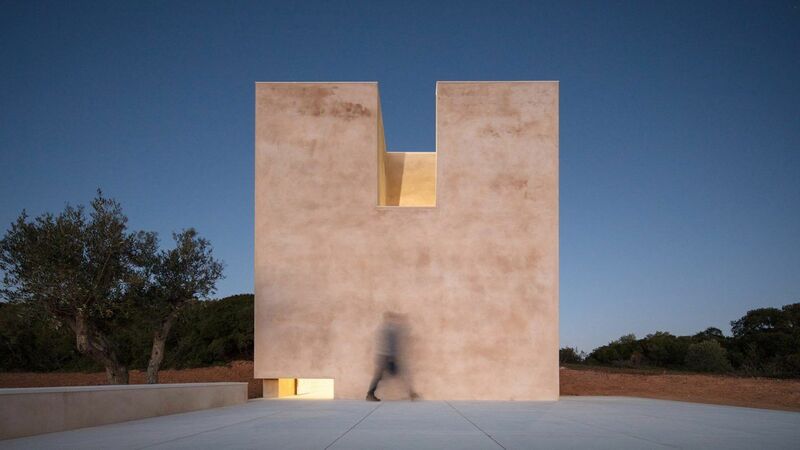 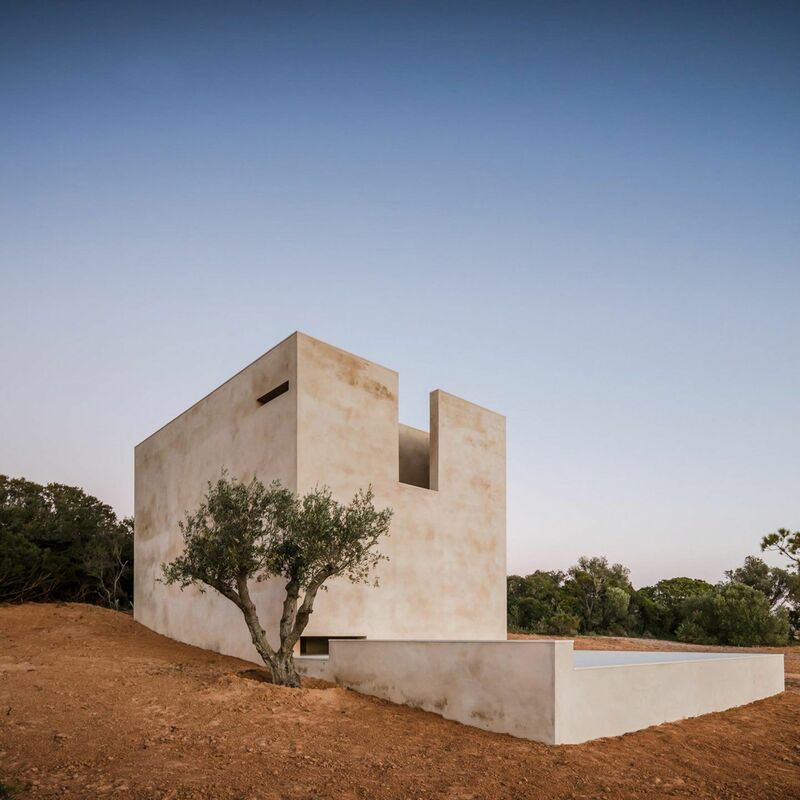 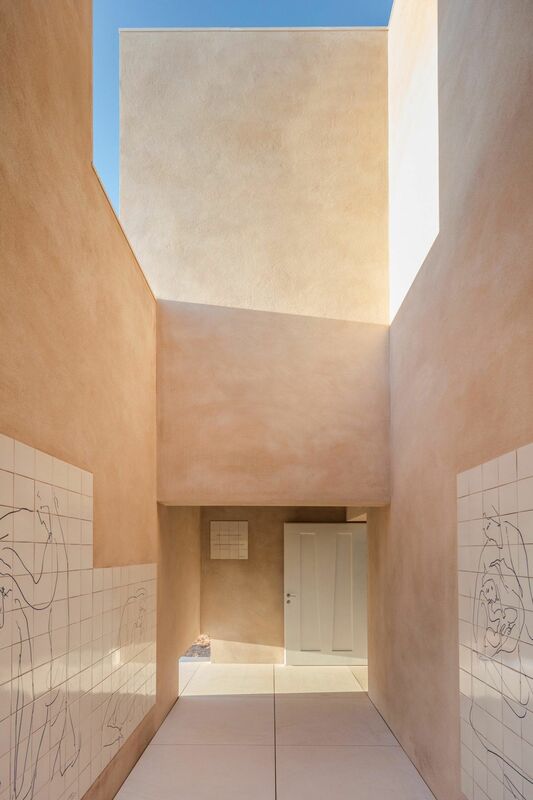 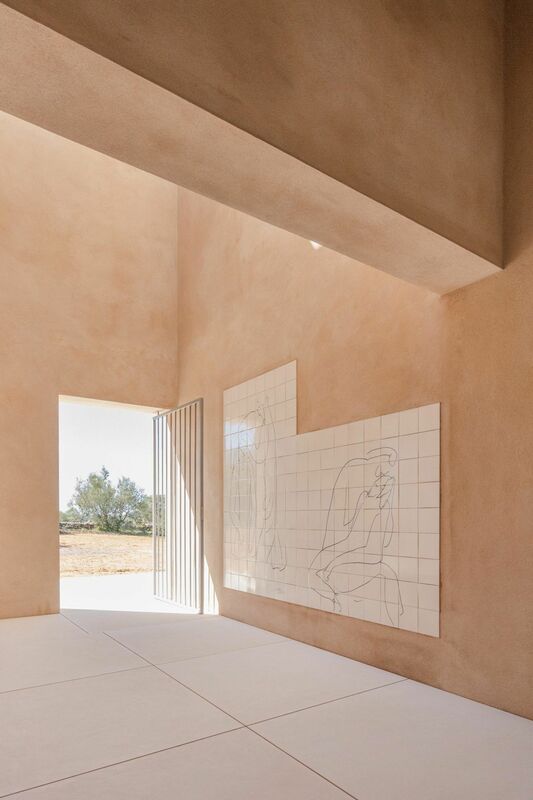 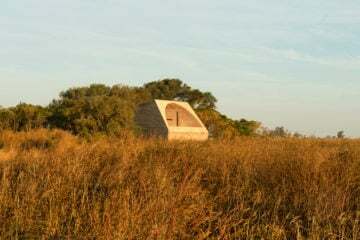 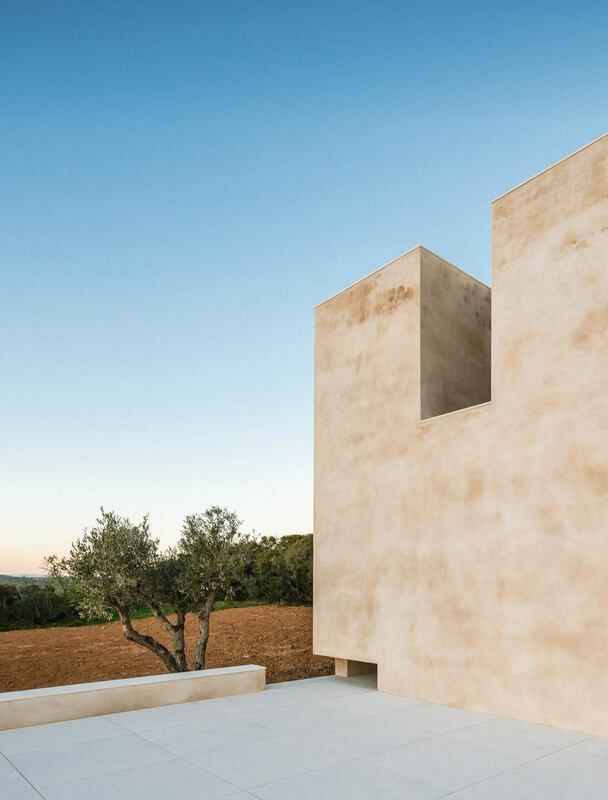 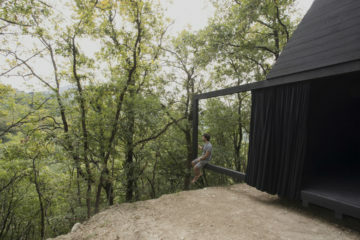 Built as a part of Monte de Charneca, an off-grid holiday retreat in the Algarve region, ‘Capela do Monte’ has been designed in both material construction and format to function without electricity, heat or running water. 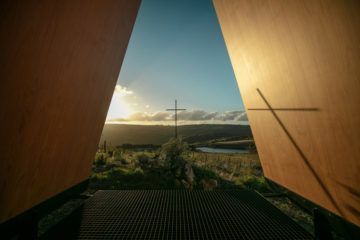 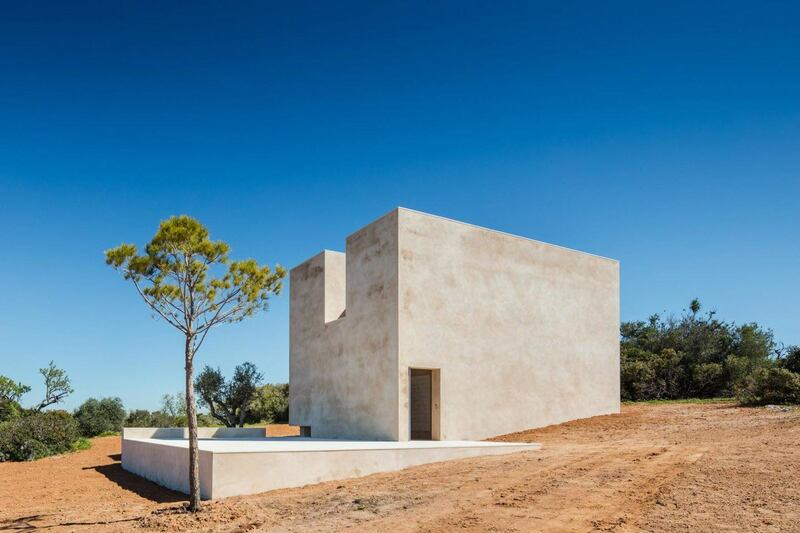 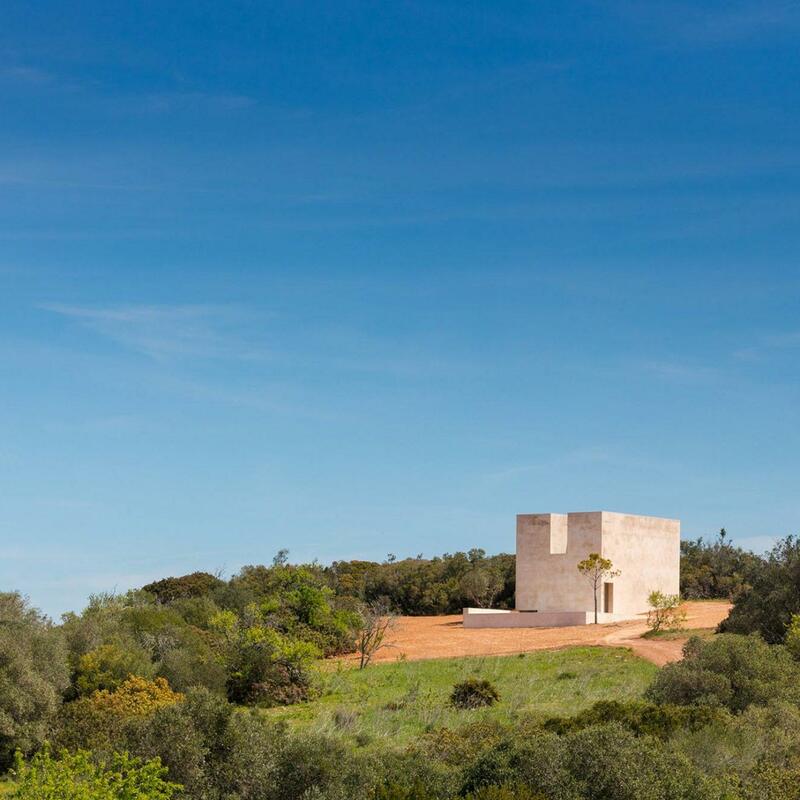 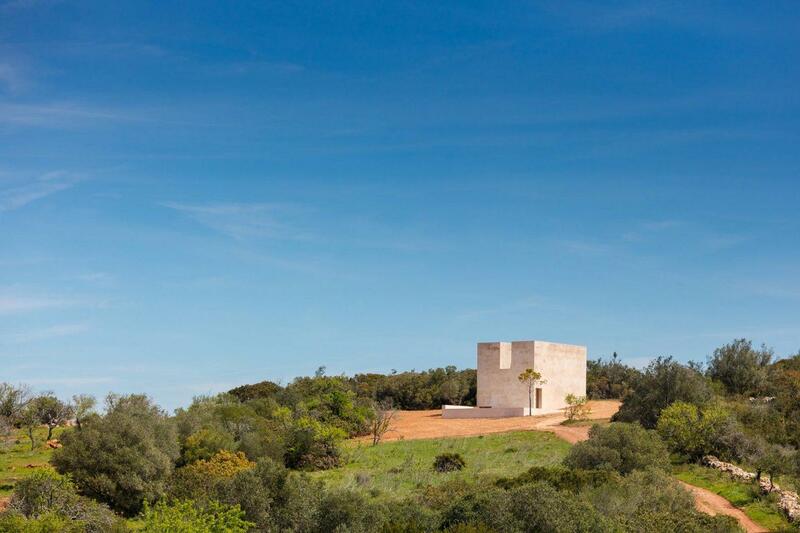 Situated on the highest point of the property, the chapel looks out across the arid south of Portugal. 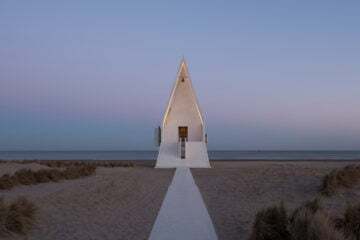 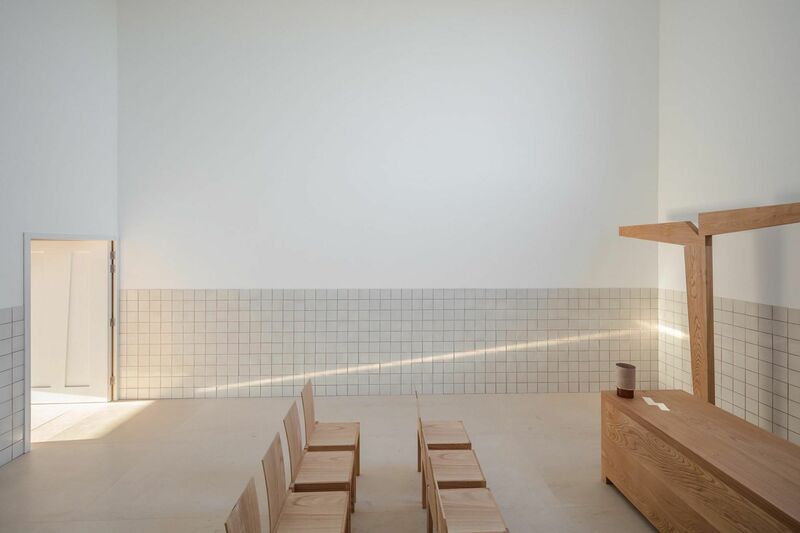 Known for his ability to sculpt light, within the chapel a single window lets the warmth of the Portuguese sun into the building, illuminating the service with golden lines. 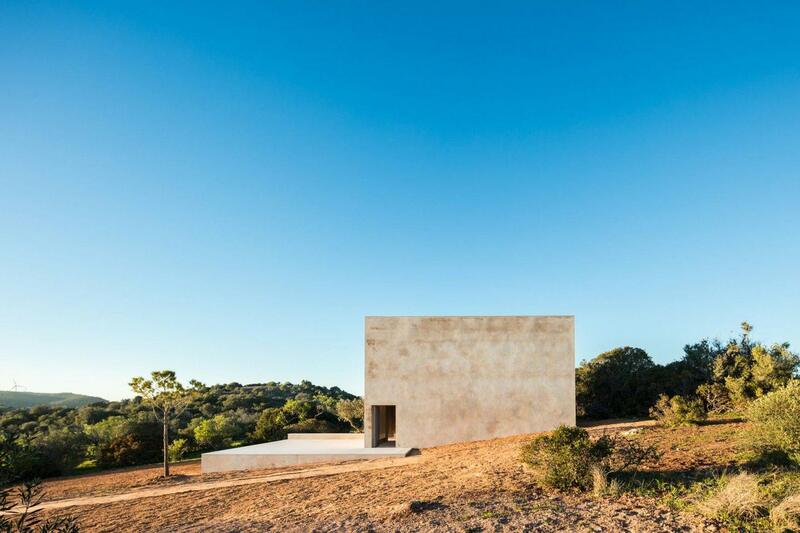 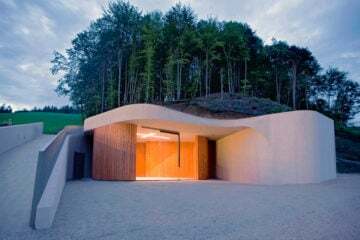 The exterior of the chapel is radiant, its render a warm blush that complements the rust-colored landscape. 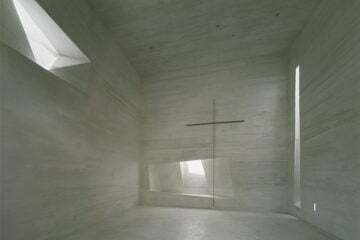 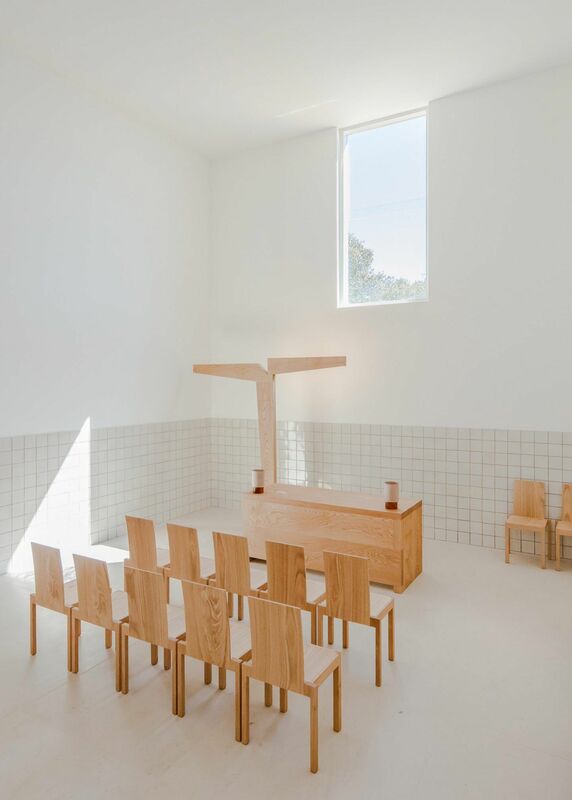 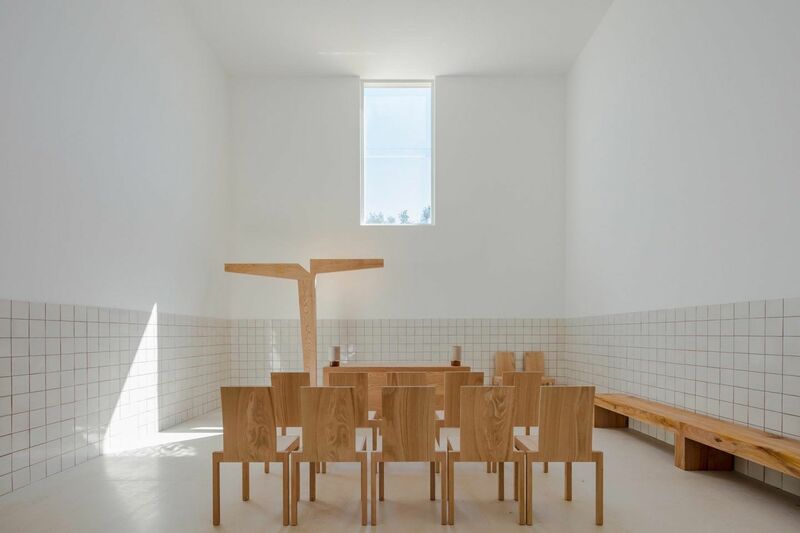 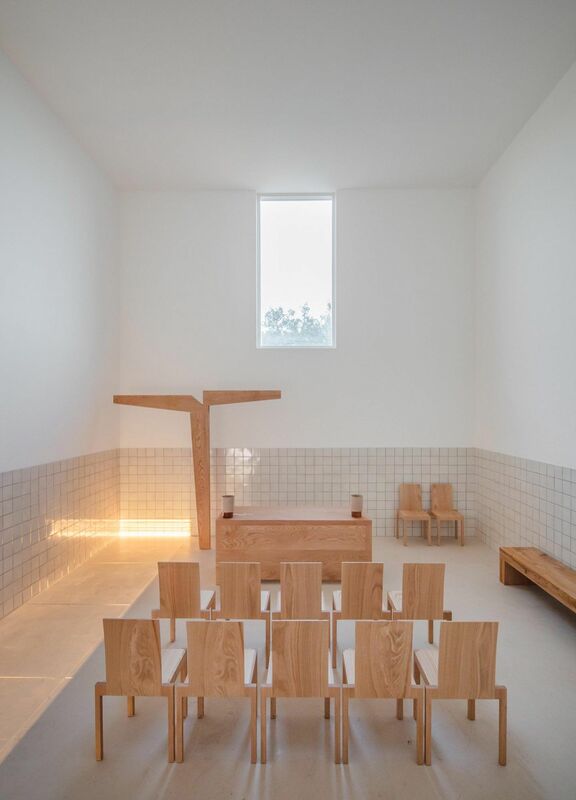 The interior of the church has a cooler neutral palette that is offset by crisp tiling and contrasting light wood furniture that Siza designed for the space. 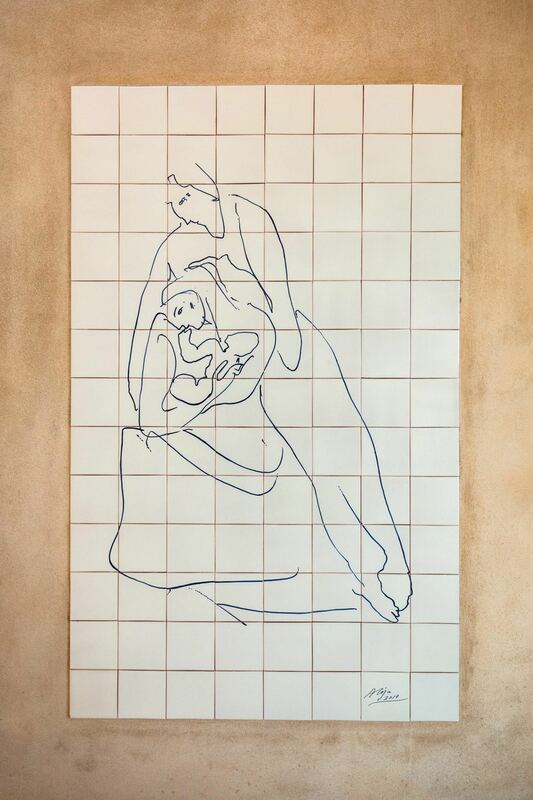 At the entrance to the building, the hall is lined with tiled murals depicting scenes from Jesus’ life, drawn by Siza and manufactured by Viuva Lamego. 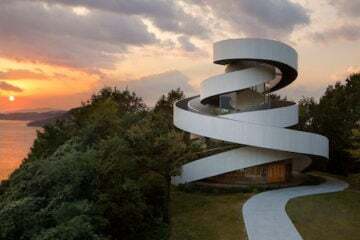 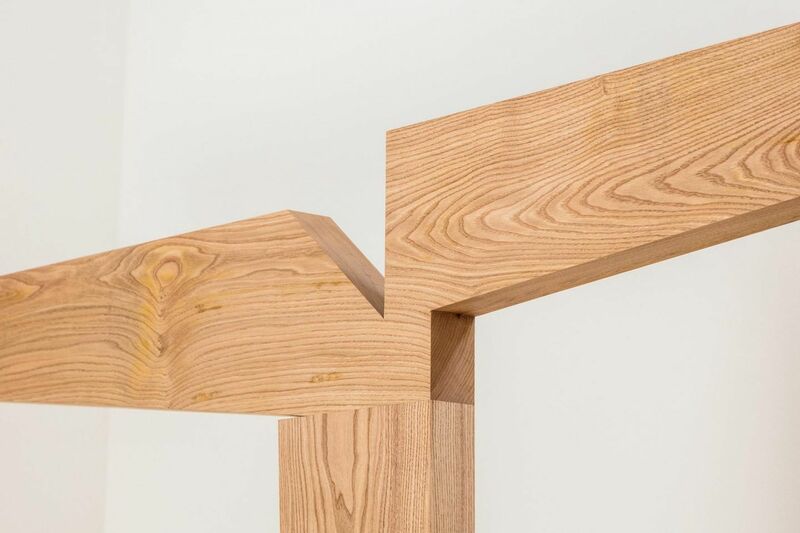 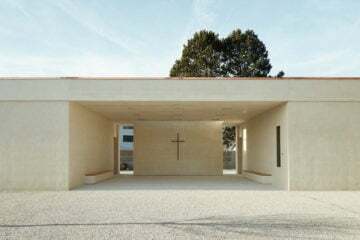 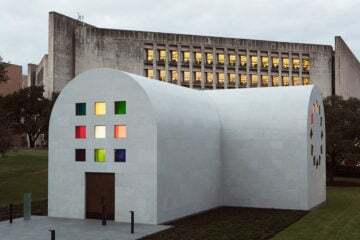 In addition to the chapel, Siza is developing residential buildings and other facilities for the complex, the project is expected to be completed in its entirety in 2021.